It’s been awhile since I’ve devoured a 500 page book this quickly. You would have seen this coming, if I had been able to post my reading status on goodreads, but for some reason this book wasn’t on it yet, and I’m too lazy to add it myself, so you’ll have to take my word for it that I started reading this on Friday, and finished it 5 days later. In case that wasn’t clear enough, I’ll repeat: I loved this book. I mention goodreads ironically in the first paragraph of this review because this book is essentially critiquing our reliance on social media, and our compulsion to alert or update others on our daily activities. 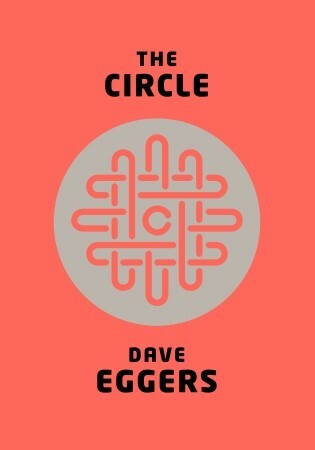 Essentially, The Circle is warning us of the darker side to our insatiable need to be connected to each other, and what happens when privacy is eliminated through the virtual monitoring of our lives. What’s great about this book is that it successfully leads us along the same path that the protagonist Mae goes on, luring us into this perfect-seeming ‘campus’ that will solve all our problems, but the deeper we dive into the business, the closer we get to realizing that the sacrifices she/we have to make to buy into their corporate mentality are all-consuming and dangerous. 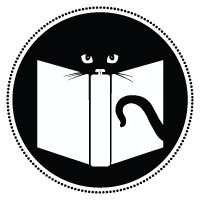 However, the reader’s path quickly moves in the opposite direction of the character’s; the more Mae buys into the promises of the corporation, the further it pushes the reader into suspicion, and eventual horror at what is being proposed by The Circle. “It’s like a modern-day 1984″ is most likely what people will say after they read this book, and they have good reason to, considering the dystopia that Eggers is creating with this latest story. Granted, he didn’t have as far to jump as Orwell did, what’s described in The Circle could be in the making as we speak, and Eggers draws obvious comparisons to the monolith Google when demonstrating the power of the fictional social media company that bears the title of the book, so the imagination didn’t have to stretch very far when coming up with the elements of this plot. But it’s a well-written, and highly readable story that leaves you frantically turning the pages to find out what happens, and it may force us all to think twice about posting that next status update on facebook ,which is always a good sign when reading fiction (or should I say, what I hope will remain fiction). I really enjoyed this book! I too was surprised how fast I tore through a 500 page book. There weer definitely times that I wanted to shake Mae, but sometimes you couldn’t help but get all caught up in the glamour and excitement with her too. Yes! Sometime Mae was making such obvious mistakes it was painful to read, but still such a good book.